The video went viral Monday after a report from your’s truly was picked up by Paul Joseph Watson of Infowars. 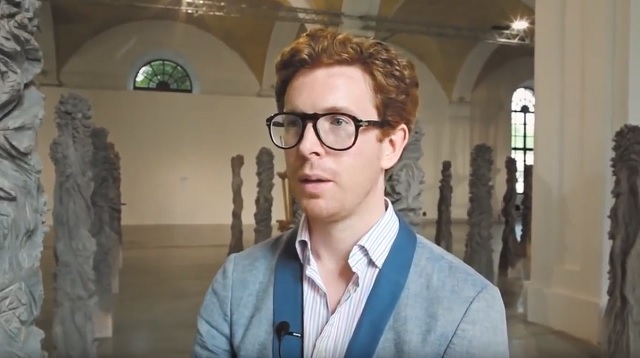 They also revealed the National Portrait Gallery in London, which is headed by director Nicholas Cullinan (pictured below), commissioned the film. Do you think it would be appropriate for a white rapper to go to Africa and call them "inbred spawn" & say dogs should piss on their graves? No one was confused about the nature of their performance, the issue was the virulent racial hatred expressed towards white people. would you fund /publish work of "art" using the same disparaging language directed at Jews, Arabs, Blacks or Asians? why do you hate Whites? Art & Commentary my arse! Its Marxist anti white propaganda.